Evviva, Westport 164, Superyacht returns to Seattle in early spring. Seattle is entering some of the warmest days of the year, thus far. Superyachts are starting to trickle into the Pacific Northwest and greater Seattle region. 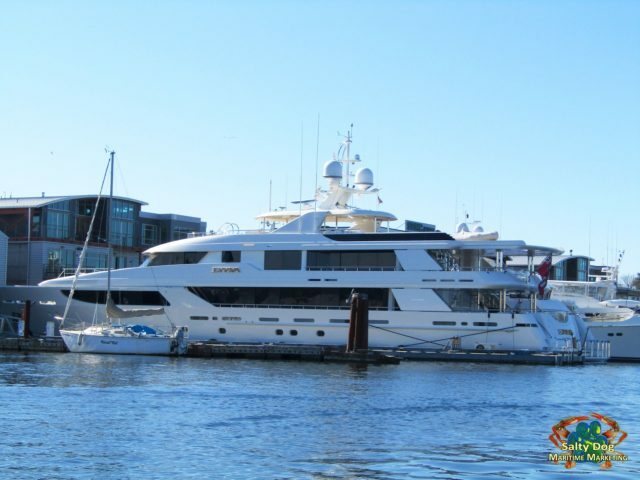 Most mega yachts that land in Seattle will spend a good grip of their summer throughout our amazing and diverse PNW cruising grounds, while and a lot make their way up to Alaska, and throughout Southeast Alaska. 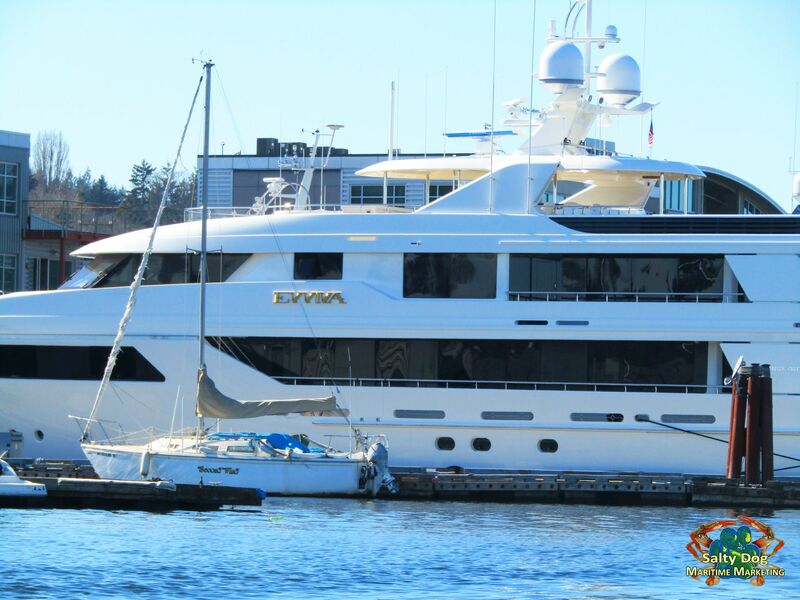 Motor Yacht Evviva, Westport Superyacht, Back in Seattle at SBMC after a season in warmer temps: Photography By: Salty Dog Boating News, Salty Dog Maritime Marketing #saltydoglablookout Welcome Back Superyachts PNW Enjoy our great warm weather! 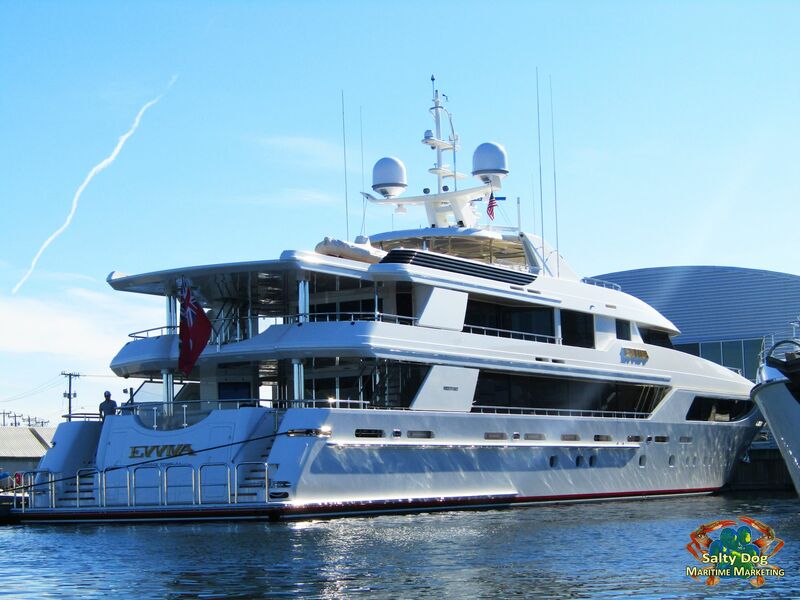 M/Y Evviva is a 49.71m Westport motor yacht built in 2006 in Port Angeles, Washington. 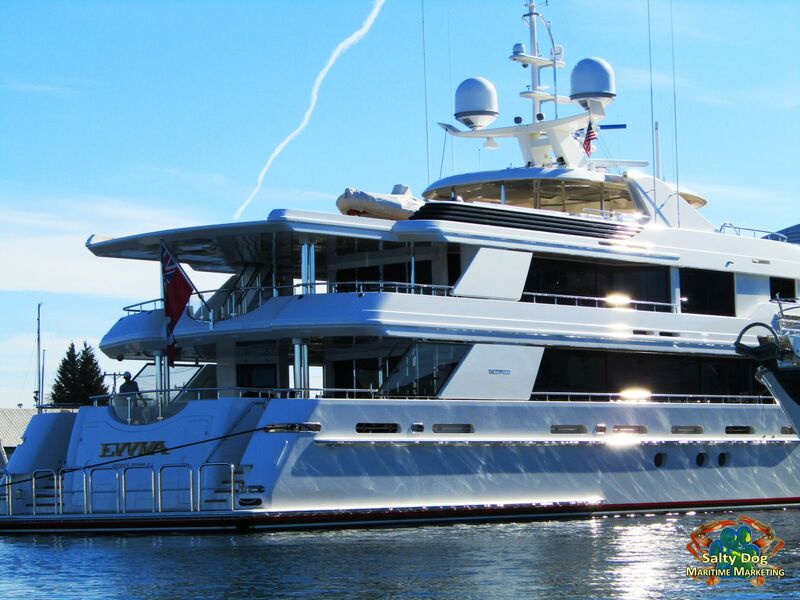 Evviva features accommodation for up to 12 guests in 6 staterooms. She is also capable of carrying up to 12 crew onboard to ensure a relaxed luxury yacht experience for her global cruising adventures. 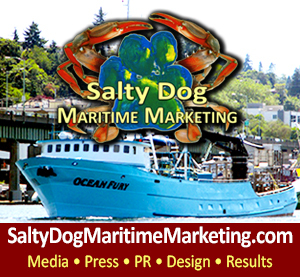 Salty Dog Boating News always has boots on the dock and sea legs cruising underway always on the water catching the leading underway and newly docked superyacht Photography By: Salty Dog Boating News, Salty Dog Maritime Marketing – Welcome Superyachts to the Pacific Northwest, may you find a new sweet spot honey hole to drop the hook and catch a fresh dinner! Eat Fresh – Catch Wild! Evviva is a classic Westport 164 tri-deck accommodates twelve guests in unsurpassed luxury. A vessel as prized for the artistry of its contours as for the substance of its construction, the Westport 164 represents an exceptional landmark achievement in large yacht design. Motor Yacht Evviva is a PNW staple as for superyachts in the greater Seattle region. 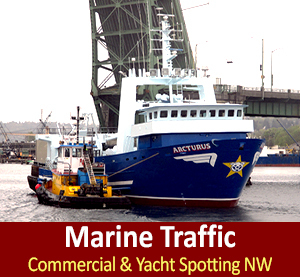 Westport Motor Yachts 164 that frequent Seattle and the Pacific Northwest include: Evviva, Seaquest, Trending, My Girl, Aquavita & Harmony. 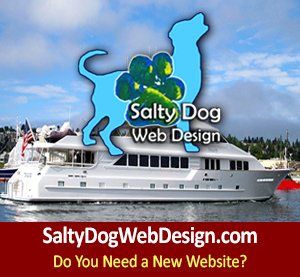 It’s very common for most of the 164 owners to prefer to be in warmer climates during our PNW winter season. Spring and Fall in the greater PNW bring a massive upgrade to the economic impact in the maritime industry brought by each superyacht – as a lot of them prefer the seasoned and salty craftsmen that Northwest Shipyards have to offer. 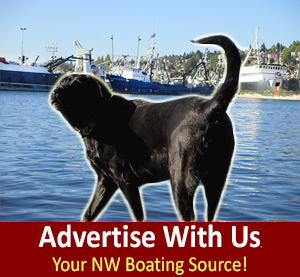 Previous postSea Hawk Paints Celebrates 40th Anniversary, World's Leading Premium Nautical Coating Provider Next postRestaurants & Bars, PNW Boaters, Hot-Spots, Ship Canal & Lake Union Cruising, Commercial, Pleasure Boats, Superyachts, GO BOATING!